Whale watching season is right around the corner! Dreams Puerto Vallarta Resort & Spa and Dreams Villamagna Nuevo Vallarta both are offering a complimentary whale watching excursion! Don’t miss this unique opportunity to photograph Humpback Whales in Banderas Bay. Book your stay from January 1 – March 20, 2012 to take advantage of this unique opportunity. 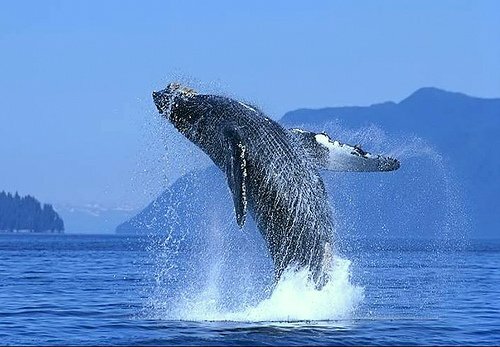 Bring your camera along on this spectacular tour of Humpback Whales in their natural environment. Bilingual Marine Mammal Behavior Specialists will be on board an APEX speed boat to educate you on these magnificent creatures. Snacks and bottled water is included in this excursion package. This special package is available for guests staying at one of these resorts January 1- March 20th. This excursion is offered complimentary when staying for a minimum of five nights in the room category Preferred Club Junior Suite Ocean View with Jacuzzi. Please read the terms and conditions for details. This entry was posted in Dreams Puerto Aventuras, Dreams Villamagna and tagged Activities, Mexico, resort activities, Whale Watching. Bookmark the permalink.